Isle of Man Airport (IOM) has a range of car parking solutions to suit every passenger's needs. The airport car park has flood lights and is monitored by security cameras for maximum safety. this is a practical option for drivers dropping off passengers, or staying for a short duration. Drivers entering the car park will receive a ticket which they should keep in their possession. The first hour of stay is free, so dropping off passengers doesn't usually incur any charge. After the first hour, parking is charged per hour for the first 24 hours; following that there is a daily rate. On return, drivers should pay at an automatic ticket machine before exiting the terminal. passengers leaving their vehicles for a longer period of time may find the long-term car parks are a more economical solution. Car parks are located further away from the terminal building; however, a coach service shuttles passengers to and from the airport. Safe Parking Ltd provides the convenient meet and greet service. If pre-booked, staff will meet passengers at the terminal and park their car in a secure compound, and then return it once passengers arrive back at the airport. A valet service is also available (+44 7624 222 696). the car park opposite the terminal building has a number of designated disabled persons' parking bays which are available for any length of stay. In addition, there are reserved spaces at the terminal forecourt which can be used for picking up disabled passengers. 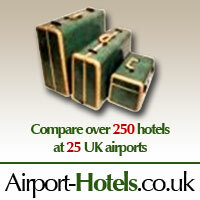 there are three reputable companies offering car hire services at Isle of Man Airport. 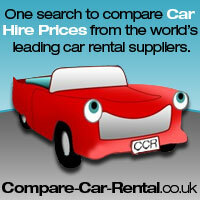 Car rental is a popular choice among visitors to the island, and can be booked online prior to arrival. Companies represented include Athol Car Hire, Isle of Man Rent-a-car and Mylchreests Car Rental. Agents are located on the ground floor, close to the entrance.